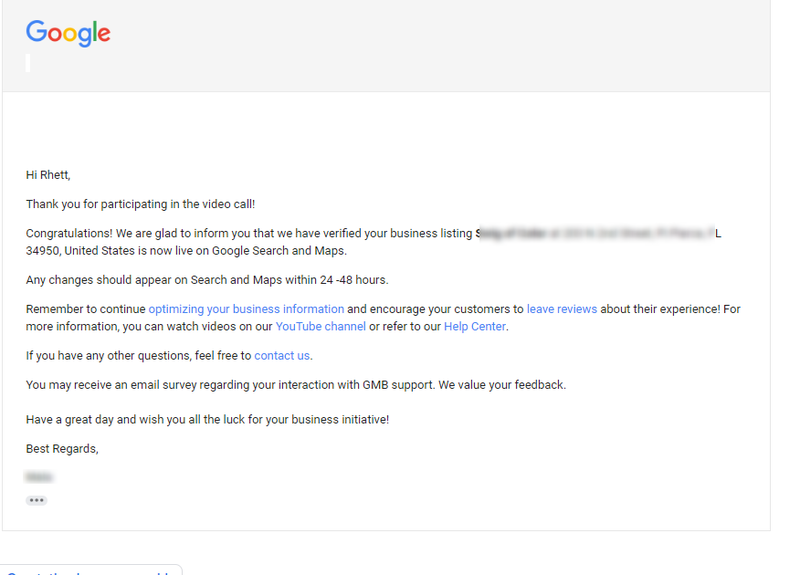 Google is testing a new Google My Business verification method which is done by a video call. We came across this when a client was moving locations but does not get mail at the current location. We requested a new PIN to verify the location change via postcard. After 14 days without receiving the postcard the GMB support team escalated it to manual verification. 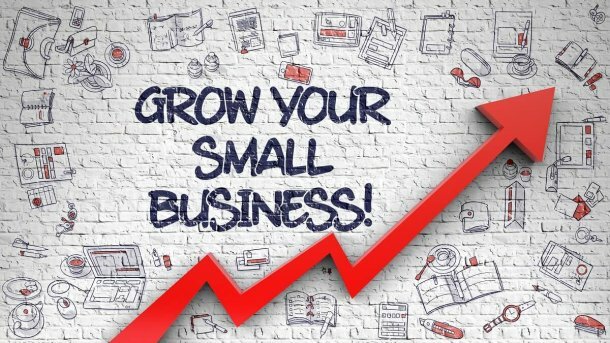 At the time of the call the GMB team called the business listing phone number to verify the process that the business knew the listing was being updated. 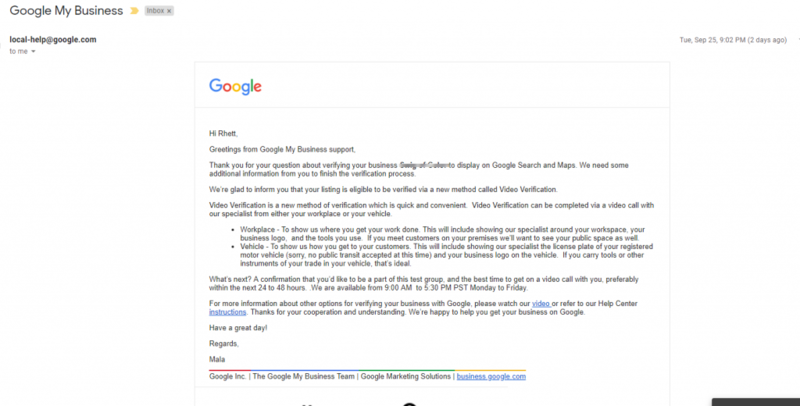 Once confirmed the GMB team emailed the hangouts link to the email where the verification support request was initiated. The GMB agent remained on the business phone while I gave a video tour of the store. They requested to see the outside of the business and signage as well as a tour of the store. They also requested to see business cards and any marketing materials available to verify the business name and address. After a few minutes the video call was completed and the listing was verified and to be published in 48 hours. Look out for this to be rolled out. Not 100% it is in beta or just a new method of verification. If you need help with your Google listing give us a call.